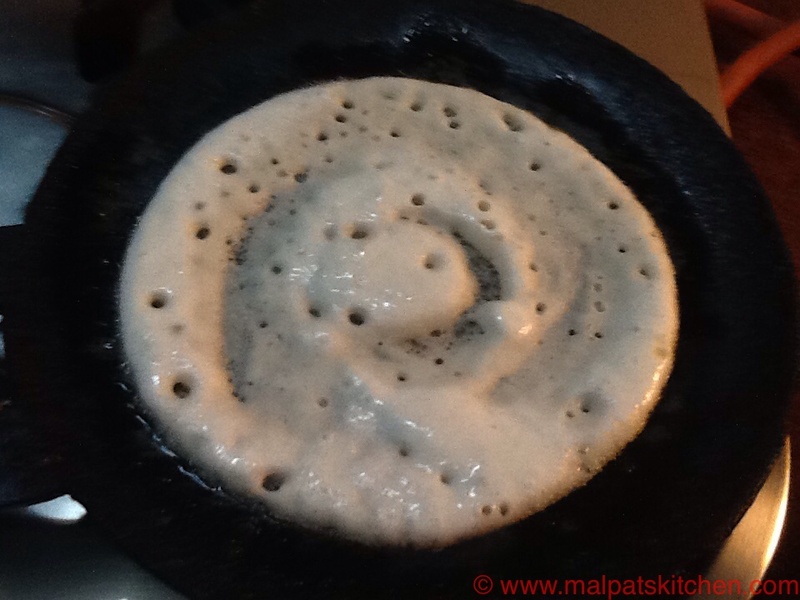 This is the perfect Dosa for those who generally do not prefer the too thin and crisp Dosas. This is a very soft, very tasty dosa, with so many holes in it. 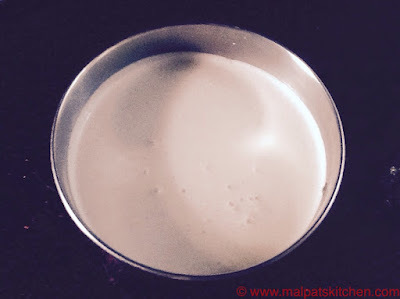 But one main condition is, the batter has to ferment really really well. Otherwise, the dosas will not be good. In a place like Chennai, I do not have to worry about it at all. Soak all the above mentioned ingredients, except curds and salt. Grind for 1/2 hour in the grinder to a soft batter, adding salt and curds towards the end. Then mix nicely with clean hands. Please remember, always idli and dosa batters need the human touch to ferment well. This picture down below is before fermenting. This picture is after 8 hours fermentation. Don't miss the fluffly texture, filled with air bubbles. Spread one ladle of batter into a slightly thick dosa, and drizzle half a teaspoon oil around it. Keep the flames on low. Then cover with a lid. This dosa has to be cooked just on one side. 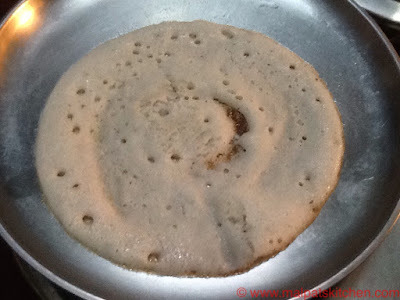 Keep the flames on low so that the dosa will get cooked well, and also won't get burnt at the bottom side. 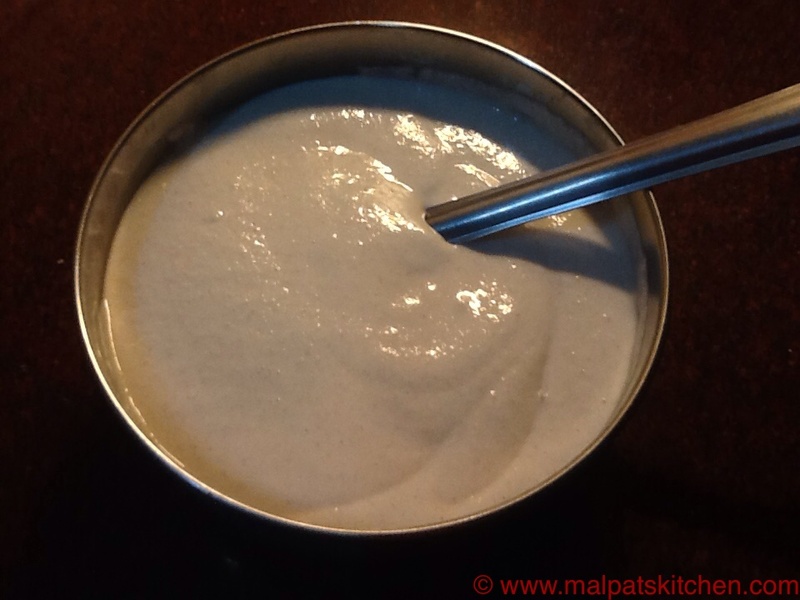 Serve with any chutney or sambar of your choice. Molagappodi also tastes very good. Down below picture shows dosa having been flipped over. If you leave it without flipping, it stays white as in the picture above. *Addition of Poha gives a very soft texture to the dosas. *Some people soak everything in buttermilk and then grind. I don't like it, since it turns very very sour. I think, it is not necessary in our country, especially here in Chennai, where heat and humidity are in plenty. *Just the addition of 2 tsps of curds gives it a very mild tinge of sourness, and it tastes good too. 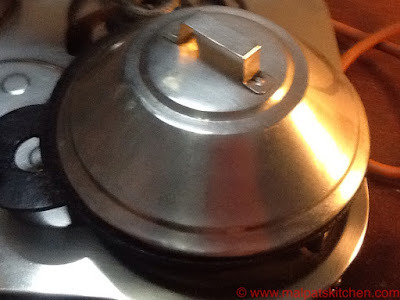 * Some people do not like very soft dosas. . You don't have to cover with a lid, and also you can flip the dosa, keep in sim and cook the other side too. But still, you cannot expect very crisp dosas. These dosas are meant to be soft. Please leave your valuable comments to motivate me! One more variety of dosa is always welcome in the day to day tiffin! Looks good and all puffed up ! Very nice.